940 STEEM ~ Sponsored Writing Contest: KlerossteemCreated with Sketch. Welcome to the @OriginalWorks sponsored writing contest! Special Twitter 0.5 STEEM bonus! Details outlined at the bottom. This is a call to all great Steemit writers! 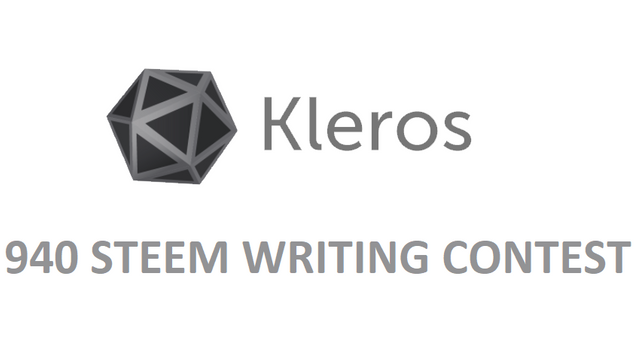 Kleros has sponsored a Steemit writing contest! Disputes are a natural part of any interaction. Some disputes are handled through an amicable conversation, while others can be dreadfully long and painstaking for both parties involved. 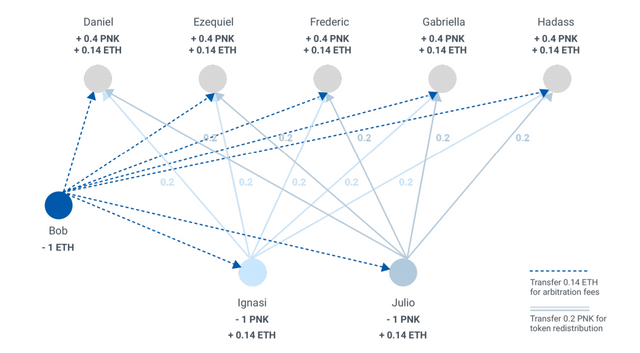 What if there was a decentralized service that connects disputing parties to experts in the field? What if the agreement in place by the two parties gives the experts the right to vote on who is correct in a dispute? Kleros is a opt-in dispute resolution platform. 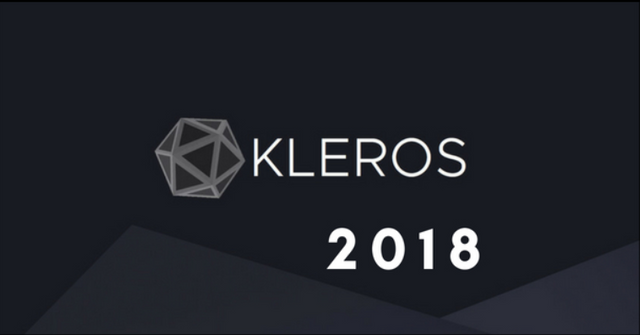 Kleros is a network of jurors specializing in various categories who are available to settle disputes. By utilizing smart contracts, Kleros can escrow any funds in question until a resolution is put forth by the selected jurors. Adjudication is expensive and time-consuming. With Kleros, both parties can be protected in the case that a contract is breached. With the advent of technology, there is a rising number of small businesses. This also means that there are a growing number of cases where the transaction value is too small to incur the additional costs associated with taking the case to court. While a million dollar loss is worth taking to court, what about a two-hundred dollar deal? In the current state of dispute resolution, there is no cost-effective and fair solution. Freelancing websites often have poor resolution protocols that lead to an unfair assessment by an unqualified individual. In some cases, there is simply no resolution protocol at all, leaving one of the parties with a complete loss. As the number of individuals offering services continues to grow, this problem will only get worse. 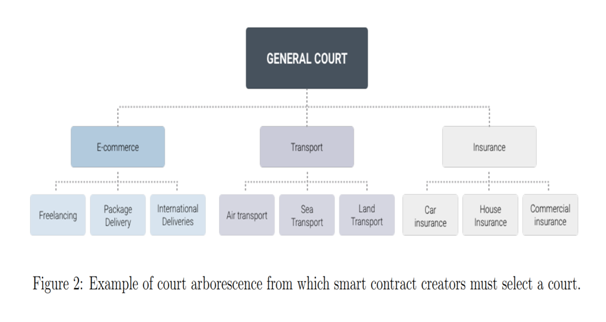 The Kleros resolution mechanism is made up of subcourts defined by categories. By picking the most relevant subcourt, they can rest easy knowing that should a dispute arise, it will be dealt with by knowledgeable individuals in the space. If or when a dispute arises, the jurors will be presented with a number of possible outcomes from which to choose. The choices are stipulated by the contracting parties beforehand. Kleros has launched a pilot experiment to showcase how Kleros works. Doges are uploaded to the website, and users can challenge whether it is indeed a Doge or not. Although this is just a fun experiment, it is a great example of a potential use-case as well. 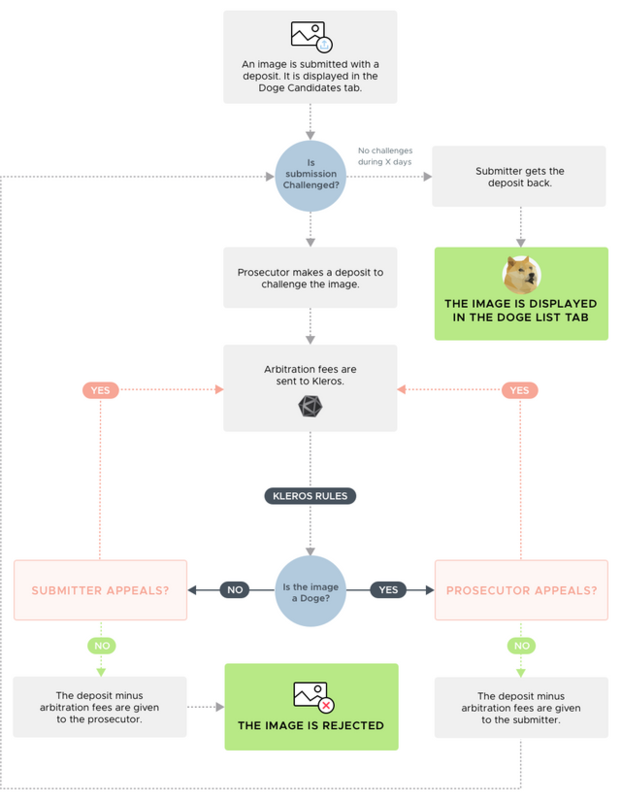 Source: Doges on Trial, "How it Works"
The above graphic demonstrates the entire decision making process associated with whether a Doge is submitted or not. The process accounts for multiple appeals while being efficient for cases where no disputes arise. This application alone can have many implications for large user published content creation websites! Jurors rule disputes in order to collect arbitration fees. They are incentivized to rule honestly because, after a dispute is over, jurors whose vote is not coherent with the group will lose some tokens which will be given to coherent jurors. The incentivization system at Kleros ensures that while dispute resolution costs are low, the jurors are properly compensated to continue doing good work. The juror system is also able to deduce good jurors from poor jurors based on the coherency of their votes. For example, if there are five jurors, with outcome options "A" and "B". If four choose "A" and one chooses "B", then option "A" will win. In this case, the one judge who voted "B" would be considered to have voted incoherently. Although one dispute is not very telling, if a judge rules incoherently 90% of the time over 100 instances, clearly they are a poor judge and they would lose tokens. Sam is a web designer. He has a small business, and depends on his income from doing web design work. He recently secures a small client, Pots’n’Pans, who decide to hire him after viewing his portfolio. They agree on a set of payments to be made totaling $2000. The first $500 is released at the start of the job, another $500 after the backend is complete, and the last $1000 upon the completion of the job. The client pays Sam the first $500 and off they go! After a few weeks, when Sam completes the backend to spec, he contacts the client for his second payment. They let him know that they decided to change direction, and are not interested in continuing the development process. Even with evidence of his interaction and their agreement with the client, realistically, there is not much to be done. Going to small claims court or engaging in a lengthy dispute would cost more than to just accept it as a loss. Had Sam secured their agreement via Kleros, there would’ve been a panel of judges that could’ve helped to settle this dispute. But without it, Sam is out $1500. CoolHats is a small hat store located in the heart of New York. They have a small niche and they get by because of the loyal following they have developed. Their business is seeing some growth, and they decide it is time to do some renovation work. They find an inexpensive contractor online, and ask him to put up some walls to divide their office from the store space, as well as repaint the whole place. The contractor quotes them at $5000, including labour and materials. He also guarantees that the work will be finished in under two weeks. CoolHats decides to accept this offer, as it is $2000 below what they expected to pay. Since the contractor does not have much of a reputation, they use Kleros to put into place a smart contract that safeguards them in the case that he is not able to perform his duties. The first day, the contractor does not show up. He stated he is not feeling too well, but not to worry, since he will come in early the next day. A week passes, and the contractor showed up only once, took some measurements and left. At this point, CoolHats is worried that the work will not be done. But since the stated two week period is not over, they continue waiting. At the end of two weeks, the contractor says that the job will most likely take a month due to his busy schedule. The verdict comes back in three days, with all five out of five jurors choosing option “A”. Instead of having to deal with an irresponsible second party or go through any official dispute channels, they are able to resolve this issue quickly and efficiently. The system is guaranteed by smart contracts so the verdict will result in an instant refund! Write an article about Kleros and how it will change the way individuals and businesses deal with disputes! What are some types of disputes that can be resolved through Kleros? How can Kleros help reduce the costs associated with dispute resolution? How can this benefit small businesses? How can Kleros benefit large corporations who deal with many disputes (think eBay, Etsy, Amazon etc.)? How does Kleros ensure fairness through its incentivization system? What are some good use cases? There are many applications, so feel free to give a few! As always, the topic is fairly open-ended, so be creative! Add the word "kleros2018" (without the quotes) at the very end of your article. All copied text must be in quotes. Feel free to copy links to resources from the contest post, but please be sure to not copy from other contestants. Please note, any users caught copy pasting or word spinning material without clearly showing that they took the work from somewhere, such as using quotes, will have their submissions disqualified. Kleros is offering an extra Twitter bonus! Tweet the link to your article on Twitter. Add the link to your tweet at the bottom of your competition Steemit post! At the end of your article, add the word "klerostwitter", without the quotes! This is great because it will also encourage Twitter users to come join Steemit as well! The bonus for this 0.5 Steem for every article that tweets and meets a level of quality and contest conditions. The submissions will be passed along to the team at Kleros , and they will decide the best method for picking winners and the winning articles. This can mean that the team judges the submissions, or they ask our team to judge it. Regardless of the method, the final say always lies with the sponsor. Use information and resources above to learn more about Kleros! Link the company's website: Kleros so that your readers can do research for themselves. 100 submissions will get 2.5 STEEM each. The article must meet the contest conditions such as word length and a level of quality. Disclaimer: @OriginalWorks makes no claims as to the legitimacy or operating procedures of contest topics. @OriginalWorks does not offer any sort of investment advice. This is a writing contest. @OriginalWorks only guarantees prize payout. The contest topic company may choose to share the contest submissions that receive prizes. If for whatever reason there are over 500 submissions, new submissions will not be considered. This post has received a 5.44 % upvote from @boomerang. Like you've been waiting for this topic, good write up. Since human cannot live without dispute, this is really going to be a great project. Another contest to give the best of us and highlight our skills, I hope to make the best article for Kleros. Thanks @originalworks for the contest! Thanks for another contest @originalworks. The truth is that yes, a great contest without a doubt. semoga semakin baik, Kak. STteemnya terus bertambah bdari yang sebelumnya. Interesting concept but the real question is, why do they need their own blockchain? Also why would I agree with the deliberation n if it isn't legally binding? With what we read about kleros. 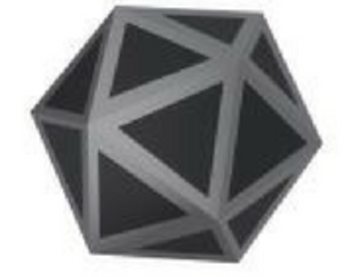 It is simple to say that kleros, basically are body of conflict and dispute resolution. Dispute as stated are a natural part of any interaction. In every organisation group and business businesses, conflicts are bound to be. 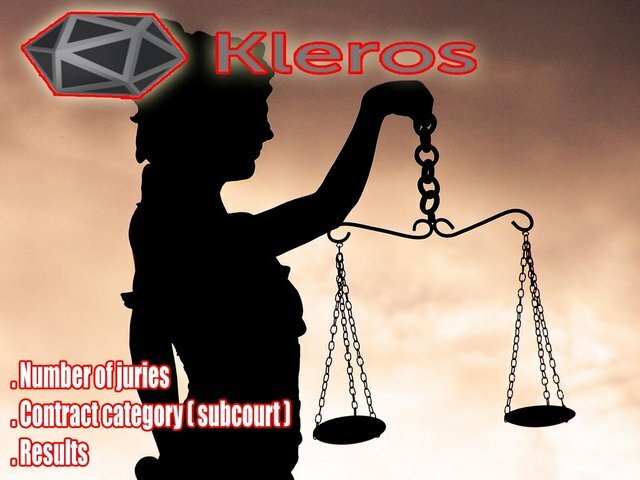 Kleros as a network of jurors specialisation in various categories are capable of settling any form of business and individual dispute. The Kleros resolut ion mechanism which is made up of the various subcourts defined by categories already classified it capability towards handling it jurors. Victor who is a dry cleaner has a small business, and depends on his income from what he can do best. He just secured a small client, Mr Tom who decided to patronise him. They agreed on a set of payment to be made totalling N25,000. The first N10,000 released at the start of the job, N15,000 upon finishing. After a few weeks, when victor finished the cleaning, he contacted Mr Tom to receive his stuffs upon payment. Mr Tom received them with promise of paying the balance before day ends. Days gone, no money and it became known to him that Mr Top is out of the country. Victor now is full of regret, ..what can he do?. Even with evidence of his interaction and there agreements, there no much to be done. Had victor secured his agreement with Kleros, there would have been there would have been a panel of judges that could have helped to resolved the dispute, but without it, victor is out N15,000. 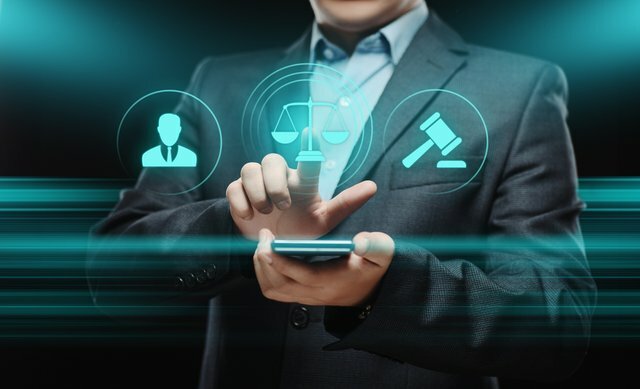 The Kleros incentive system ensures that the dispute resolution cost is low as the jurors are usually compensated by doing good. This is my entry to the contest, success for all. This should be fun. Congrats to the previous winners and thanks to @originalworks for this great opportunity. Motivated! Here I am going to a new challenge, knowledge to power. Thanks for the opportunity to improve every week, very motivating. @contestbot have not submitted my entry even after liking my post. I wonder why this is so? Time to work and put out the best, good luck everyone. thanks friends of @originalwork. new contest. Hello friends, good evening here, my entrance, Greetings to all ..
Hmmmmm.....this is another interesting contest. I'm already relishing it. Thanks @originalworks for another opportunity. Another great project @originalworks let's see how it goes. Here is my entry with the Twitter and Video Bonus, good luck for all participants. Here is my submission to the writing contest on Kleros. Thanks. @originalworks you are doing a great work. This gonna be a bit tasky but interesting and tactical. I hope I would be chanced to do this. Great project with so much huge potential. This is another great opportunity, I hope to perform more better this time. All thanks to @originalworks for the opportunity. Another challenging contest. Will be working on it. This is great! wait for my entry @originalworks. Hey @originalworks Here is my entry. The topic was just too good to let go. I offer a cordial greeting to all the community and the other participants, here I present my entry to the contest. will surely take part in it . best of luck guys . Another competitive contest from @originalworks. Thank you!!! Hello. Here is my submission. Thanks. Thanks @originalworks another great opportunity to demonstrate our skills as writers and also earn some money... Hands to work!